Sct. 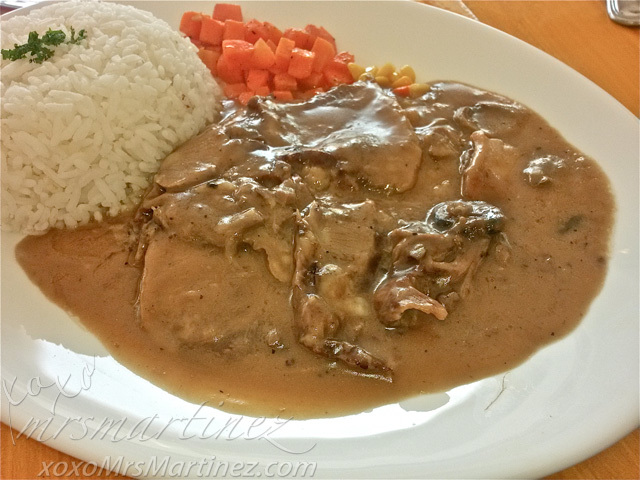 Tobias in Quezon City is fast becoming the new Maginhawa St. So far, I have tried 3 restaurants along the strip. 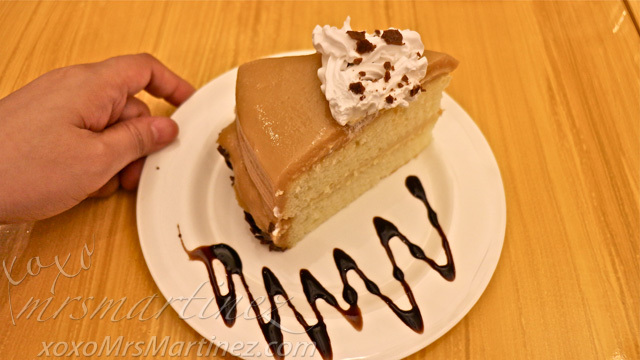 I still have not blog about the other two but I will start with the most affordable & most delectable restaurant, The Round Robin Cafe Cakes & Good Eats. 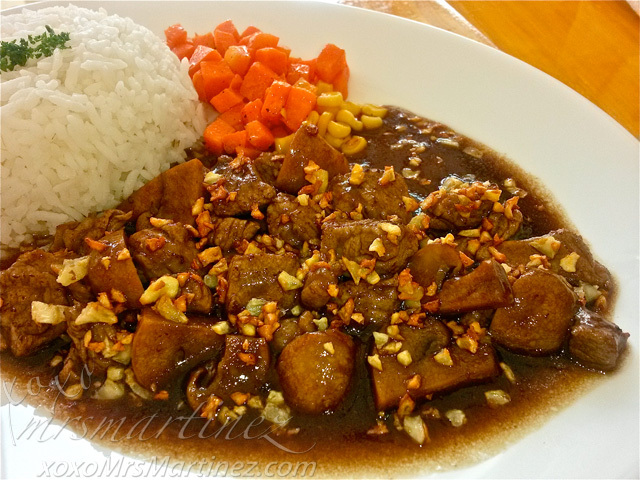 Salpicao Steak has a generous serving of beef and button mushrooms. I love how it tasted especially with the combination of the crunchy garlic on top. I think my photo says it all, this dish is really appetizing. Since we only ordered two main course, we still have a lot of room for dessert. I ordered a White Chocolate Frappe. It's thick, creamy and overloaded with white chocolate. I can't finish the entire drink hehe It's good that I have my dad to share this drink with. The Round Robin Cafe's Supermoist Chocolate Cake is the best chocolate cake I have ever tasted, even my mom agreed. I like the white chocolate and the mocha whipped cream on top. 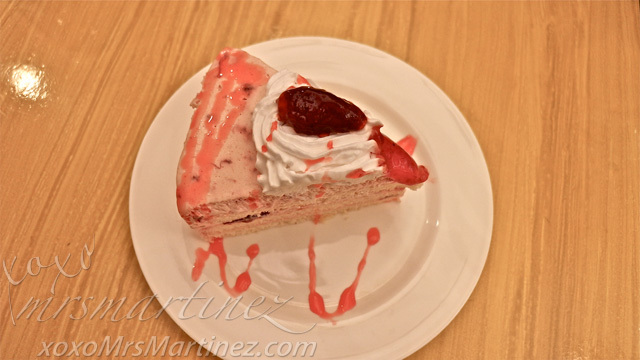 Best of all, it's only Php 110 per slice. 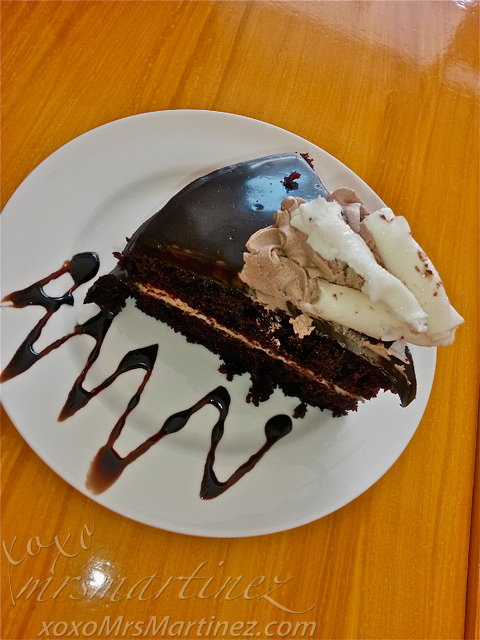 Supermoist Chocolate Cake is also available in whole for only Php 880. 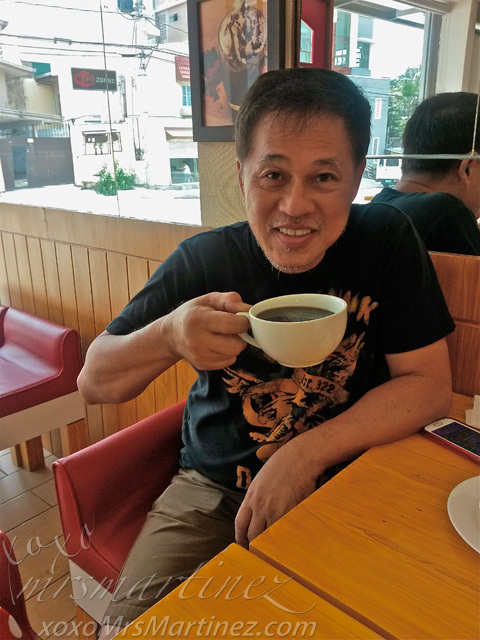 Dad ordered a cup of Americano. The taste was so strong, my mom had to dilute it in half a cup of water. Since I super enjoyed eating Round Robin's Key Lime Pie on my first visit, I ordered it again when my parents and I visited the cafe yesterday. It didn't disappoint, I still love it the citrusy taste! 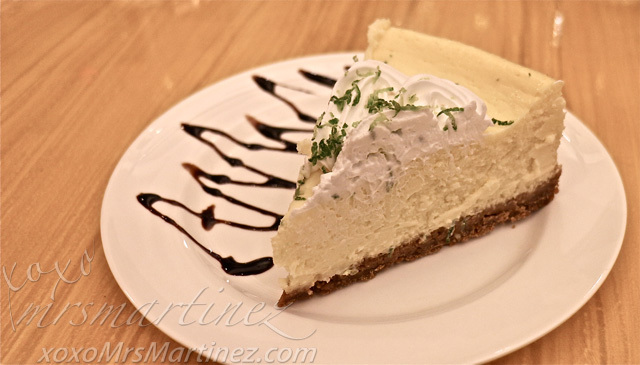 Key Lime Pie is also available in Whole for only Php 840. 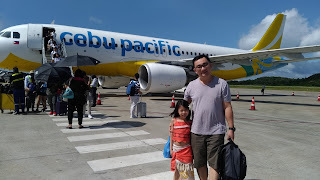 On my first visit, I was with DH and our daughter. We had dinner at All Day Breakfast in Bed also along Sct. Tobias. I will post about that restaurant in another entry. Anyway, since we already our dinner, we just ordered 3 cakes, one for each one of us. 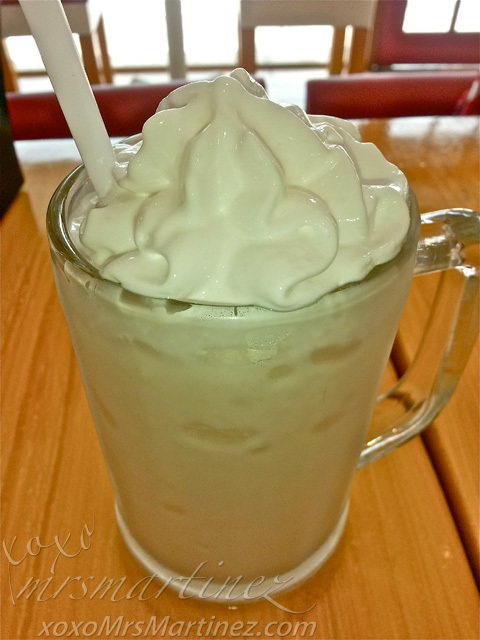 We loved the cafe and I highly recommend it to you if you want to try something new along Sct. Tobias St. The restaurant is quite small though, I think it can only fit 15 diners at a time. You may park along Sct. Tobias St. in front of the cafe or at the corner of Sct. Gandia St. I will definitely be back to try some of their appetizers like Caesar Salad (Php 95) and Mozzarella Sticks (Php 110). I would also love to try Round Robin's Salmon Carbonara (Php 165) and Philly Cheesesteak (Php 175). The Round Robin Cafe Cakes & Good Eats is located at 54 Sct. Gandia St. cor. Sct. Tobias St., Quezon City 415 33 41.